"Personal Life" redirects here. For The Thermals album, see Personal Life (album). 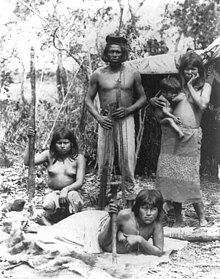 Humans traditionally lived in family-based social structures and artificial shelters. In ancient past, most people's time was limited by the need to meet necessities such as food and shelter through first hunting and gathering and later subsistence farming and there was not much leisure time. People identified with their social role in their community, and engaged in jobs based on necessity rather than personal choice. Privacy in such communities was rare. The modern conception of personal life is an offshoot of modern Western society. A modern person tends to distinguish one's work from one's personal life. It is a person's choices and preferences outside work that define personal life, including one's choice of hobbies, cultural interests, manner of dress, and so on. In particular, what activities one engages in during leisure-time defines a person's personal life. For instance, a typical American has about five hours of leisure time per day, more than half of which is spent on watching TV. People in Western countries, such as the United States, tend to value privacy. Privacy includes both information privacy and decisional privacy; people expect to be left alone with respect to intimate details of their life and they expect to be free from undue control by others. In the past, before modern technology largely alleviated issues of economic scarcity in industrialised countries, most people spent a large portion of their time attempting to provide their basic survival needs, including water, food, and protection from the weather. Humans needed survival skills for the sake of both themselves and their community; food needed to be harvested and shelters needed to be maintained. There was little privacy in a community, and people identified one another according to their social role. Jobs were assigned out of necessity rather than personal choice. Furthermore, individuals in many ancient cultures primarily viewed their self-existence under the aspect of a larger social whole, often one with mythological underpinnings which placed the individual in relation to the cosmos. People in such cultures found their identity not through their individual choices—indeed, they may not have been able to conceive a choice which was purely individual. Such individuals, if asked to describe themselves, would speak of the collective of which they were part: the tribe, the Church, the nation. Even in the 21st century, survival issues dominate in many countries and societies. For example, the continents of Africa and Asia are still largely mired in poverty and third-world conditions, without technology, secure shelter, or reliable food sources. In such places, the concepts of a "personal life", "self-actualization", "personal fulfillment", or "privacy" are often unaffordable luxuries. The English philosopher John Locke (1632-1704) figures among the pioneers in discussing the concept of individual rights. In the 17th century he promoted the natural rights of the individual to life, liberty, and property, and included the pursuit of happiness as one of the individual's goals. Increasingly, leisure time is spent[by whom?] on computer games. The notion of a personal life, as currently understood,[by whom?] is in part an artifact of modern Western society. People in the United States of America, especially, place a high value on privacy. Since the colonial period, commentators have noted Americans' individualism and their pursuit of self-definition. [need quotation to verify] Indeed, the United States Declaration of Independence and the Constitution explicitly raise the pursuit of happiness and the expectation of privacy to the level of rights. George Lakoff sees the metaphor of life as "a journey" as a noteworthy structuring idea in "our culture". Compare the traditional Chinese concept of tao. In modern times, many people have come to think of their personal lives as separate from their work. [need quotation to verify] This 9 to 5 paradigm regards work and recreation as distinct; one is either on the job or not, and the transition is abrupt. Employees have certain hours they are bound to work, and work during recreational time is rare. This may[original research?] reflect the continuing specialization of jobs and the demand for increased efficiency, both at work and at home. The common phrase "Work hard, play hard" illustrates this mindset. There is a growing[quantify] trend, however, toward living more holistically and minimizing such rigid distinctions between work and play, in order to achieve an "appropriate" work–life balance. Other factors affecting personal life include individuals' health, personal relationships, pets as well as home and personal possessions. Kabukicho is Tokyo's entertainment district. The way in which individuals make use of their spare time also plays an important role in defining their personal lives. In general, leisure activities can be categorised as either passive, in cases when no real effort is required, or active, when substantial physical or mental energy is needed. Passive activities include watching television, listening to music, watching sports activities or going to the cinema. The individual simply relaxes without any special effort. Active activities may be more or less intensive ranging from walking, through jogging and cycling to sports such as tennis or football. Playing chess or undertaking creative writing might also be considered as demanding as these require a fair amount of mental effort. Based on 2007 data, a US survey on use of leisure time found that the daily use of leisure time by individuals over 15 averaged 4.9 hours. Of this, more than half (2.6 hours) went on watching TV while only 19 minutes involved active participation in sports and exercise. 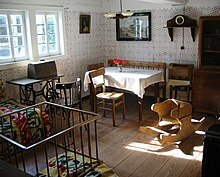 The room often reflects many aspects of one's personal life. Privacy has been understood as entailing two different concepts; namely informational privacy and decisional privacy. The former concerns the right to be left alone in respect of the most intimate details of one's personal life and is a more accepted doctrine than the latter which concerns freedom from undue regulation and control. ^ Van Loon, Hendrik (1921). The Story of Mankind. New York: Boni and Liveright, Inc.
^ Gupta, Anil K. (10 July 2004). "Origin of agriculture and domestication of plants and animals linked to early Holocene climate amelioration" (PDF). Current Science. 87 (1). Archived from the original (PDF) on 31 October 2004. ^ Barnard, Alan J. (2004). Hunter-gatherers in history, archaeology and anthropology. Berg Publishers. ISBN 978-1-85973-825-2. ^ "Why did anthropologists get interested in peasants?". Experience Rich Anthropology. University of Kent at Canterbury. Retrieved 26 February 2011. ^ Percy, Walker (2000). Lost in the cosmos: the last self-help book. Macmillan. ISBN 978-0-312-25399-8. ^ Ashton-Jones, Evelyn; Lindholm, Cherry; Charles Lindholm (1991). "Life behind the Veil". The Gender reader. Boston: Allyn and Bacon. p. 252. ISBN 978-0-205-12806-8. ^ Maslow, A. H. (1943). "A Theory of Human Motivation". Psychological Review. 50 (4): 370–396. CiteSeerX 10.1.1.334.7586. doi:10.1037/h0054346. ^ de Tocqueville, Alexis (1840). Democracy in America. London: Saunders and Otley. ^ Compare: Schleifer, James T. (2012). "5: How Does Democracy Threaten Liberty?". The Chicago Companion to Tocqueville's Democracy in America. Chicago: University of Chicago Press. p. 82. ISBN 9780226737058. Retrieved 8 August 2016. For Tocqueville individualism meant the habit of living isolated from your fellows, of not concerning yourself with any public affairs, and of abandoning those matters to the care of the government as the only clearly visible representative of common interests. Like democratic materialism, democratic individualism led to the death of civic life and opened the door to any despotic power that would assume responsibility for shared interests. [...] We need to recognize that Toqueville [..] treated the United States as something of an exception. He had described the American republic as shielded from the worst effects of democratic materialism; in his analysis, it was also insulated from individualism. ^ Lakoff, George (1979). "Contemporary theory of metaphor". In Ortony, Andrew (ed.). Metaphor and Thought. Cambridge: Cambridge University Press (published 1993). pp. 223–224. ISBN 9780521405614. Retrieved 8 August 2016. Long-term, purposeful activities are journeys. [...] In our culture, life is assumed to be purposeful, that is, we are expected to have goals in life. In the event[-]structure metaphor, purposes are destinations and purposeful action is self-propelled motion towards a destination. A purposeful life is a journey. Goals in life are destinations on the journey. [...] Choosing a means to achieve a goal is choosing a path to destination. [...] [T]he love is a journey metaphor inherits the structure of the life is a journey metaphor. [...] a career is a journey. ^ Best, Shaun (2009). Leisure Studies: Themes and Perspectives. SAGE Publications. p. 201. ISBN 978-1-4129-0386-8. ^ Shah, Agam (2 October 2009). "Netbooks Propel Global Semiconductor Sales". PCWorld. PCWorld Communications, Inc. Retrieved 26 February 2011. ^ Stebbins, Robert A. (November 2002). "Choice and Experiential Definitions of Leisure" (PDF). LSA Newsletter. 63. ^ "Leisure Time on an Average Day". American Time Use Survey. Bureau of Labor Statistics. Retrieved 26 February 2011. ^ Kumar, Krishna; et al. (997). Public and private in thought and practice : perspectives on a grand dichotomy. Chicago; London: The University of Chicago Press. p. 383. ISBN 978-0-226-88624-4. Freud, Sigmund (1901). The Psychopathology of Everyday Life. Lefebvre, Henri (1947). Critique of Everyday Life. Rowntree, Seebohm (1952). English Life and Leisure. A social study. Vaneigem, Raoul (1967). The Revolution of Everyday Life.